10 August 2018: Farming Together celebrates the future of the Kakadu plum industry with news that one of its projects has been named a major partner in a $2.7m research initiative. 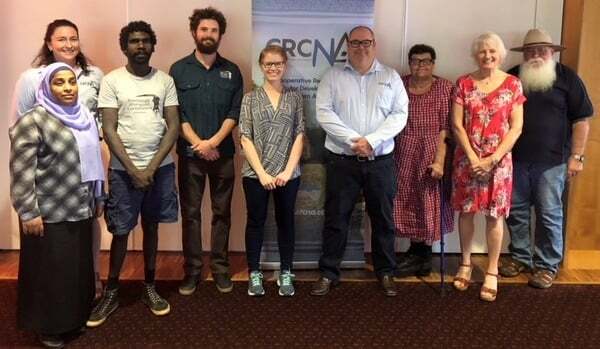 Kindred Spirits Enterprises – Traditional Homeland Enterprises is among the groups participating in the three-year Cooperative Research Centre for Developing Northern Australia (CRCNA) project launched at Darwin’s Parliament House last week. Farming Together assisted Kindred Spirits Enterprises to support the Kakadu plum project it initiated in 2013 at the request of the Women’s Centre and Traditional Owners in Wadeye, Northern Territory. The project has since expanded to include other harvesting communities in the Northern Territory and Western Australia’s Kimberley region. The enterprise currently processes and sells Kakadu plum fruit, puree and powder products. The CRCNA project aims to improve processing and storage methods, distribution of Kakadu plum products and provide training in harvesting, manufacturing and marketing. Some of the potential commercial products are dehydrated products such as in breakfast cereals, energy and health bars, high-fibre products and bio-active rich extracts for natural preservation. UQ’s Associate Professor Yasmina Sultanbawa said the Kakadu plum industry offered significant opportunity for growth. “Demand and growth for Kakadu plum products here and overseas is expected to be around 10 per cent annually, with significant opportunities emerging in the nutraceutical, supplement and pharmaceutical industries, so looking at how we can improve the value chain to better capture these new markets will be a key focus of this research,” she said. Other participants in the CRCNA project include researchers from the University of Queensland’s Queensland Alliance for Agriculture and Food Innovation (QAAFI) Institute and industry partners the Kimberley Institute Limited (KIL), Charles Darwin University (CDU) and several Indigenous Resource Centres and communities including Tharmarrurr Development Corporation, Bawinaga Aboriginal Corporation and Delye Outstation in the Northern Territory and communities in the Kimberley WA. 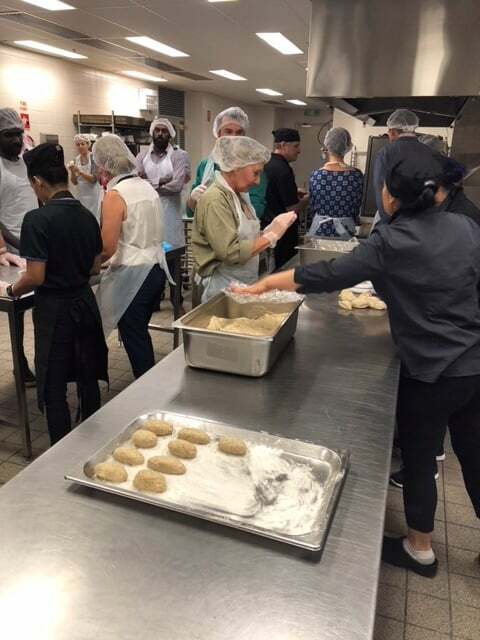 Pictured (above): Using plum products in the Karen Sheldon Catering production kitchen – Parliament House, Darwin and (below) at the launch, (left to right): Dr Yasmina Sultanbawa (QAAFI), Sally Leigo (CRCNA NT project manager), Ranton Watson (Delye Outstation), Johnathon Buckingham (Barwinanga), Jocelyn Bosse (UQ), Jed Matz (CRCNA CEO), Ann Shanley (Kindred Spirits Enterprises executive officer), Rhonda Renwick (Traditional Homeland Enterprises Chair) and Paul Lane (Kimberley Institute director).